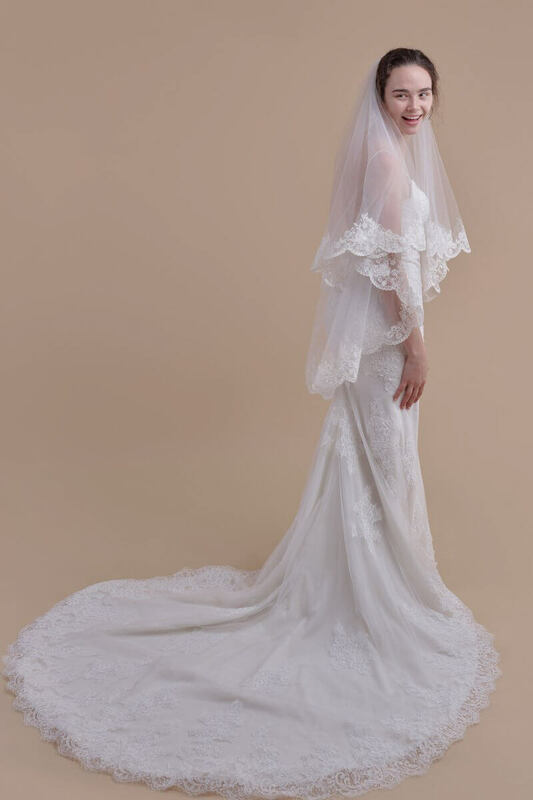 A veil isn’t just an accessory; it’s an extension of a bride’s wedding day look and Anomalie wedding veils take it to a new, personal level. Known for their ability to provide custom styles and lengths at an affordable price, Anomalie boasts gorgeous designs ready to ship. 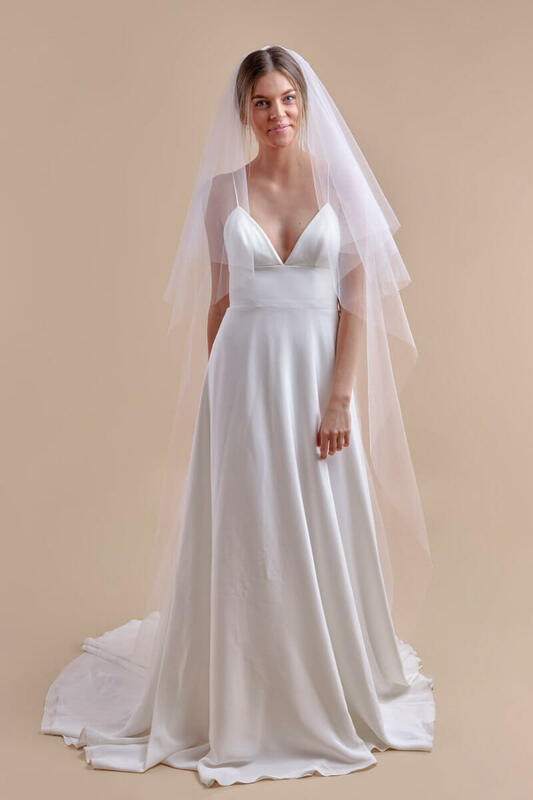 From two-tier to tulle, court length to cathedral, they have a vast array of options to suit every bride’s unique wedding style. 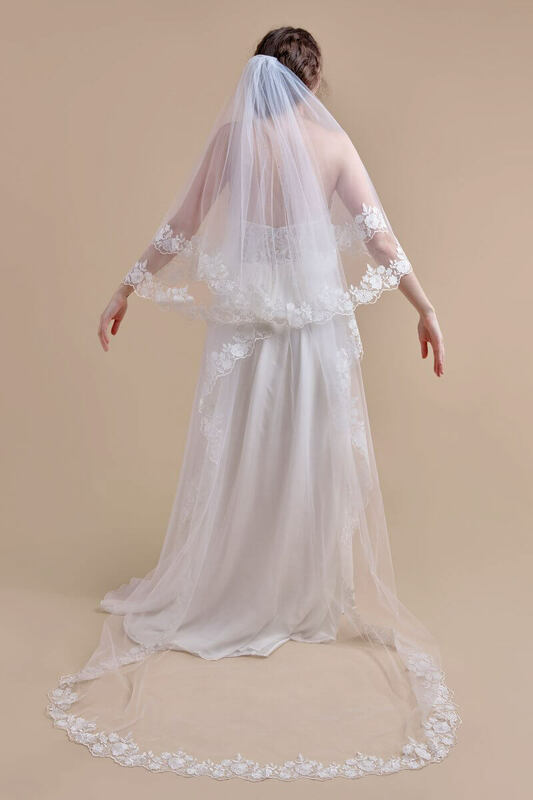 Anomalie’s lace veils are that which wedding dreams are made. The Oopsie Daisy Double Tier is a slightly modern spin on the classic lace veil. The double-tier style can be worn in the back or the top tier can be worn over the face as a blusher. It features floral lace on a scalloped hem that is utterly romantic. 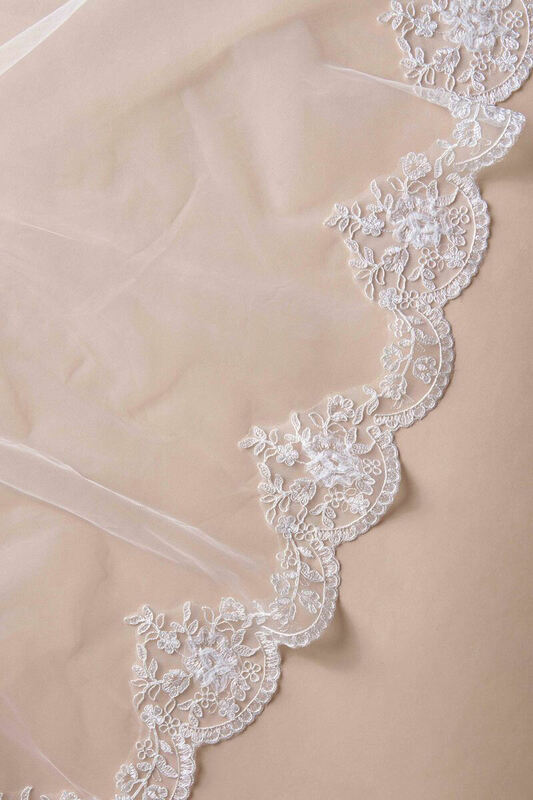 This double-tier style, Royal Treatment, features the most delicate Chantilly lace, eyelash trim and cording. The second tier can also be worn down the back, creating a cascading effect, or over the face as a blusher. And the cathedral length just adds to its imperial style. Simply Scalloped is perfectly named for its simple, light scalloped hem and delicate lace trim. It features inspiration from florals, vines and leaves and is a beautiful veil for any bridal style – from the contemporary to the classic. Vintage wedding styles are still as popular as ever, so Vintage Vines is an impeccable veil for any bride with a penchant for all things cherished and antique. This single-tier veil features guipure lace with vines, scrolls, and floral details on scalloped edges. The Scalloped Double Tier is a fingertip-length veil with ample amounts of floral lace on scalloped edges. The second tier adds volume and can be worn as a blusher or simply down the back for a dramatic effect. Some brides want to sparkle on their big day. Anomalie’s Hint of Sparkle veil is a fingertip-length style with the most minimal beading on the hem. The dainty touch of hand-sewn sequins, pearls and beads adds just the right amount of shimmer for today’s bride. Of course, some brides just want to keep it simple and Anomalie gets that with their Tulle Have + To Hold veil. The court-length veil features two tiers of simple tulle that is minimalism at its best. This style highlights the bride’s face and personality in an elegant way. 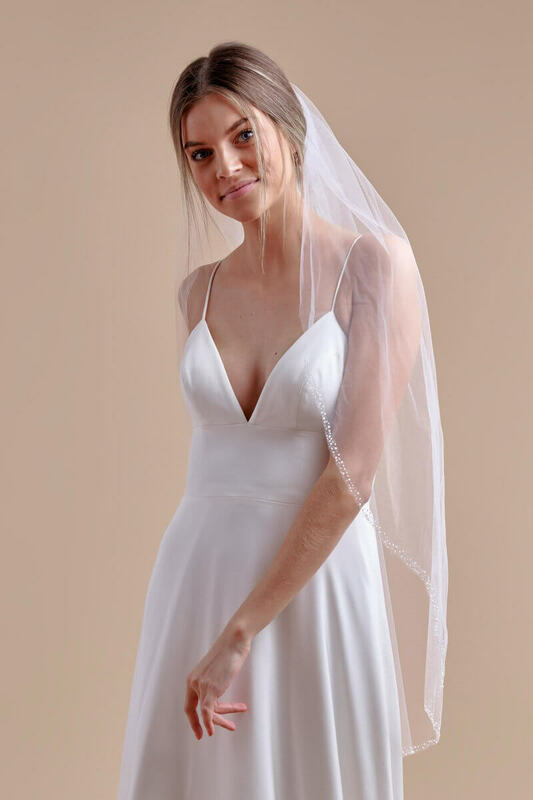 With Anomalie, you can get exactly what you want when it comes to a wedding veil. With every length available, along with a spectrum of fabrics and styles, the veil you dream up can be a reality. 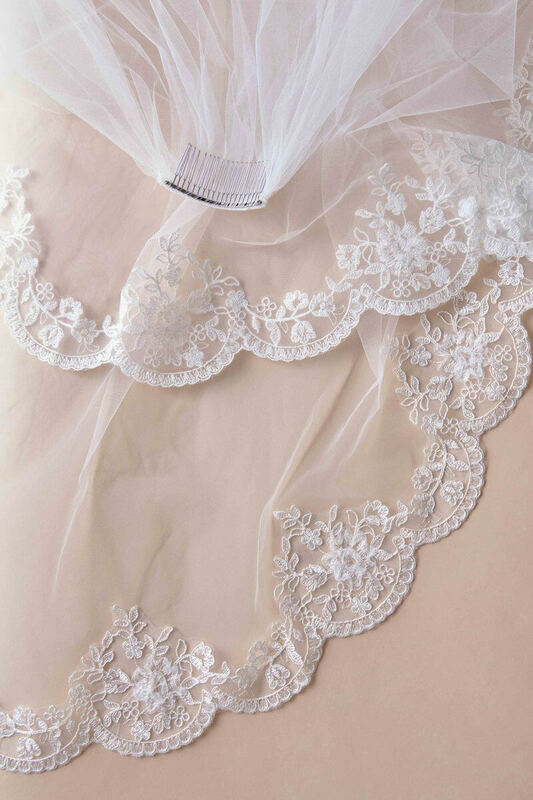 Their lace veils are dreamy and their tulle veils are chic. An Anomalie veil will frame the face of a bride who’s ready to walk down the aisle in style.